Are you ready to transform your marketing mindset using the 8 credibility marketing tools we will share with you to take you from working 9 to 5 to running a fully automated virtual business? Would you like to monetise your sales funnel using profit speaking, social media, sponsorship, sales letters, digital magazines, book publishing, Amazon and the media to change the world around you? 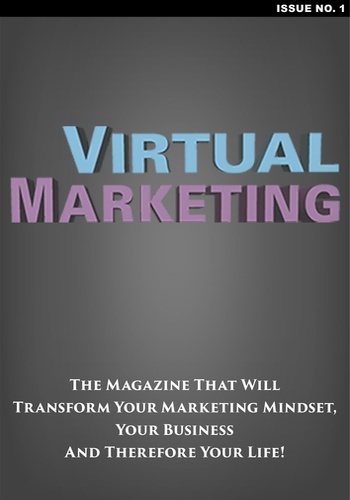 Introducing Virtual Marketing; the magazine that will transform your marketing mindset, your business and therefore your life!